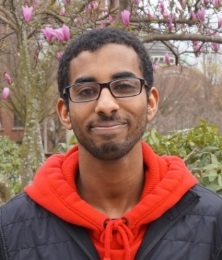 Huge congratulations to UW Tacoma student Omer Adam–one of fifteen Rangel Scholars nation-wide. He will be spending his summer in Washington D.C. participating in the Rangel International Affairs Summer Program. There, he will learn about current issues in international affairs and acquire valuable skills to prepare him for a career in the field.Omer is most interested in how religion shapes foreign policy and hopes to improve relationships between the US and Muslim countries. Omer’s journey has been a remarkable one: Born in Sudan, he immigrated to the U.S. when he was 13. Speaking Arabic at home, he didn’t know any English when he first arrived. He is now a sophomore at UW Tacoma who is not only thriving academically but also mentoring high school students through the Students Together Empowering Personal Success (STEPS) program. But Omer’s campus involvement doesn’t end there. He is active in the Muslim Student Organization, works in the TLC and as an IT student assistant. Although Omer has not yet declared a major, his faculty mentor is PPPA professor Turan Kayaoglu. 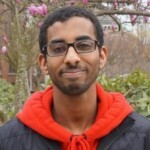 Omer is the first UW Tacoma student to be selected for this honor and only the second UW student in the program’s history. Our congratulations also go to Fulbright Alternate Lizeth Garcia. A 2013 graduate of the Politics, Philosophy and Economics program, Lizeth is hoping to teach English in Mexico through the Fulbright English Teaching Assistant (ETA) Program in 2015-16. Being named an Alternate is a huge accomplishment in its own right, and Lizeth could still receive the award in the event that someone withdraws or additional funding becomes available. Lizeth is no stranger to teaching; she has gained valuable tutoring experience working with a local community organization that supports the education of Latino children. Since graduating from UW Tacoma, she has worked as a legislative aide at King County Council. This entry was posted in Alumni Spotlight, Division News, Information for Students, Scholarships and fellowships, Student Spotlight and tagged Alumni, Education, Fulbright, International Relations, PPPA, Scholarship, Students, UW Tacoma by pppauwt. Bookmark the permalink.